gives the roof a better chance of staying intact. increase its ability to withstand the storm. 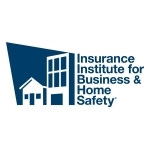 IBHS offers additional hurricane preparedness tips here. communities against natural disasters and other causes of loss.